Conditions: Cold snap after the last storms goodies have all been ridden down. Binding Adjustability: Tons. Both straps lengths adjustments are simple cams. The ankle strap has a bungie that clips onto the cam that you have to get positioned as you get the cam popped back down. It’s not a seamless adjustment, but the bungie does work well to keep the ankle strap out of the way. The ankle strap and ladder are also on Romes Pivot Mounts. So you have a 360 degrees of adjustment for where the ankle strap sits on the frame. It’s something I’ve really liked on the Katana so it’s awesome to see it get trickled into the Targa. I have a higher instep to being able to raise the angle of the ankle strap means zero pressure on top of my foot. 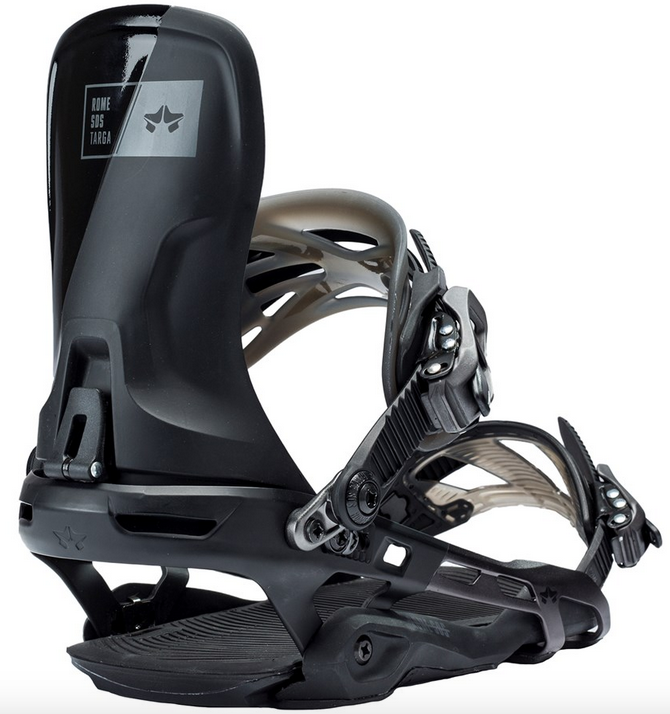 The highback rotation is on sliders on the inside where it mounts to the frame and the heelcup can slide forward or back depending on boot size needs. At an 8 I’m actually below the stated size for the L/XL but I didn’t have any real fit issues. Straps: Despite being below the size run the toe strap still fit well and held everything in place. I did have to max out the adjustment and bottomed out the ladder though. The ankle strap is following the new design trend of a plastic hammock with no cushioning foam. Rome’s version works well and offers what I think is one of there best response oriented straps yet. It locks down very securely and still spreads out the pressure evenly across the whole strap. The support and power comes mostly out of the cross brace in front. It’s a little stiffer top to bottom compared to a lot of other straps of this similar design on the market, but with the Pivot Mount system you have all the adjustments necessary to make sure it’s comfortable. Ratchets: Burly feeling with strong springs. Smooth on and smooth release. Highbacks: Solid and sturdy feeling. Just a hair of torsional flex to make sure it’s never in your way as you move around the board, but it’s built with support and power in mind. Binding Flex: Bomber and burly. As much power as you want to put into it, it will handle. The aluminium heelcup wraps all the way down and under the toes of the frame and offers a good solid amount of lateral support. The strap is stiff and supportive forward. It’s a locked down stiff feel. Ride: The days of uncomfortable gnar bindings are behind us. Full foam canted EVA foot bed is smooth and takes the edge off your knees and the ankle strap does a great job soaking up any harshness coming into your leg and ankle on your toeside. Rider in Mind: All mountain freerider bombing over everything in their path and wants a binding that won’t fold. Personal Thoughts: These are something I would ride on my freeride sticks or all mountain chargers. It’s got loads of support in every direction. And the Pivot Mount is clutch. You may end up spending more time getting these adjusted than any other binding you’ve owned, but it’s worth it. There are definitely lighter options out there, as there are heavier, but these really do feel like they’re going to last multiple 100 day seasons. The only other note would be if Rome were to make the toe strap maybe an inch shorter side to side, they could comfortably extend the fit range down to 8. *Disclaimer this binding did not change for 2018 so we carried the 2017 review over. Hi, I’m trying to decide between Targas and Union Atlas. I ride a Jones mountain twin as a mostly freeride with a bit of freestyle here and there do it all board. Side hits, rollers, drops etc. I’ll hit the park occasionally but its not a priority. Mostly I just want to charge and find good snow or fun natural stuff to jump off. I have 2018 Cartels at the moment and I love the straps but the baseplate is soft in all directions, its really not a very responsive binding if you like to drive through the base. Tried Katanas and the comfort was amazing but still found them a little soft. I was thinking about Now (pilot or drive) but I really like canting for my ruined knees so I’ve narrowed it to these two. 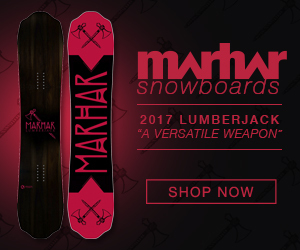 I don’t need a super stiff freeride binding but definitely a step up from the Cartels. Any thoughts? I’m also wondering if the dampening as a result of Now’s skate tech might be as good for knee problems even if they don’t have a canted footbed?? How wide is your stance? Hmm, so the thing with canted footbeds is they’re great for people with wider than normal stances, at your stance you shouldn’t need them. Which leads me to believe you would do fine on the Now’s. Sounds like a Targa would fit the bill otherwise maybe the Now Drives.